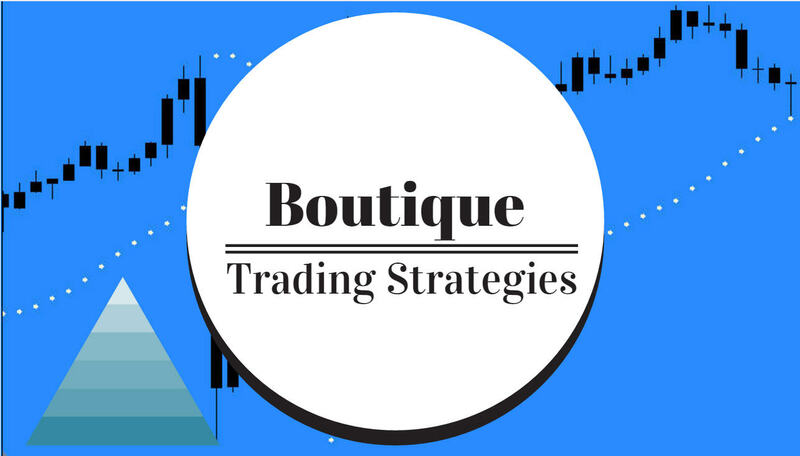 Simplified and profitable trading strategy. 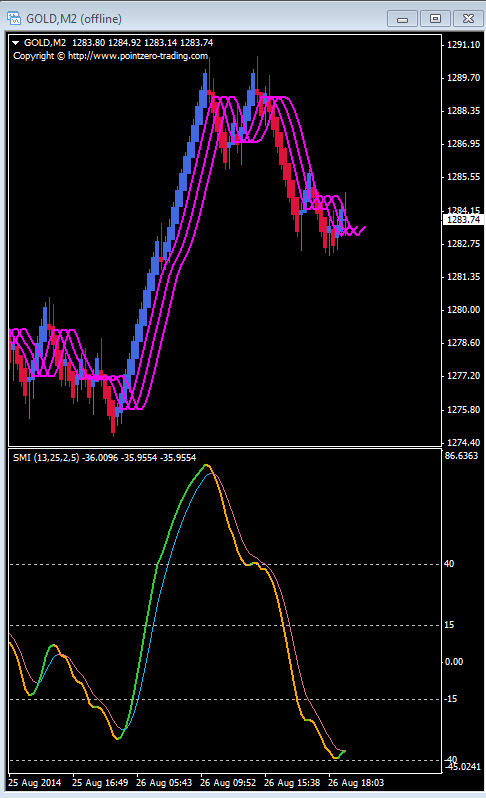 The Stochastic Momentum Index offers a simplified approach to trading, especially with Renko bars. 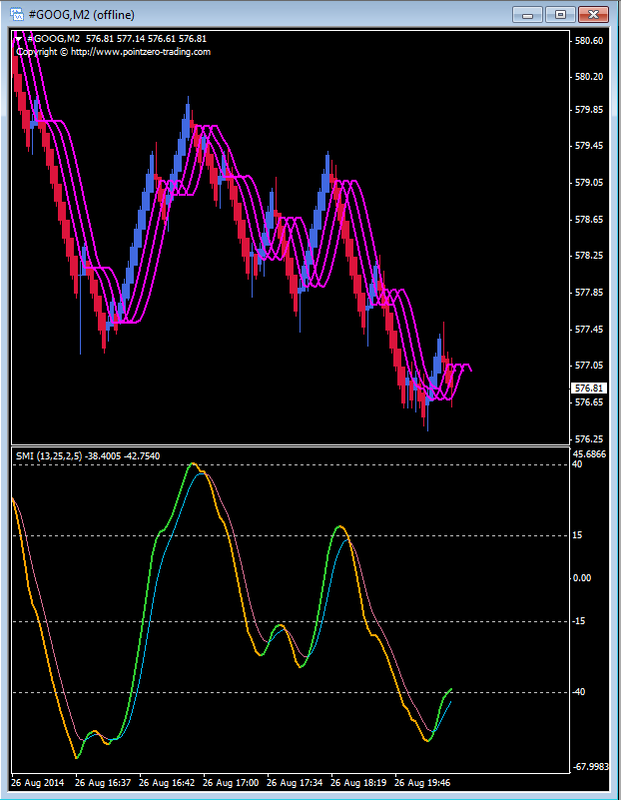 This indicator is easily located with a search on the internet as it is not included in all charting packages, if not found it can easily be coded to suit whichever platform requires it. I am attaching three charts from today and you will see that it shows a pending change in direction as it approaches and passes the 40 level. Personally, I use a moving average as shown on the charts as a confirmation. On each of the charts above, you will easily see how the trend change was depicted, making this indicator a simple way to measure as to when entries and exits can be made. Each trader will have to adjust the indicator settings to get the chart to talk to him/her vividly, other than that the indicator does not need much else in the way of support. Study these charts for a few minutes and then have a glance at the articles I have attached to clarify the various applications of the indicator. Once you have studied the articles and the charts you will be able to easily adapt the Stochastic Momentum Index to your trading system. I have added an excellent video at the bottom of the page, the author explains in detail as to how she uses this tool. Trade the Stochastic Momentum Index Indicator on the Forex.com Platform KEY POINTS REGARDING THE STOCHASTIC MOMENTUM INDEX Introduced by William Blau. 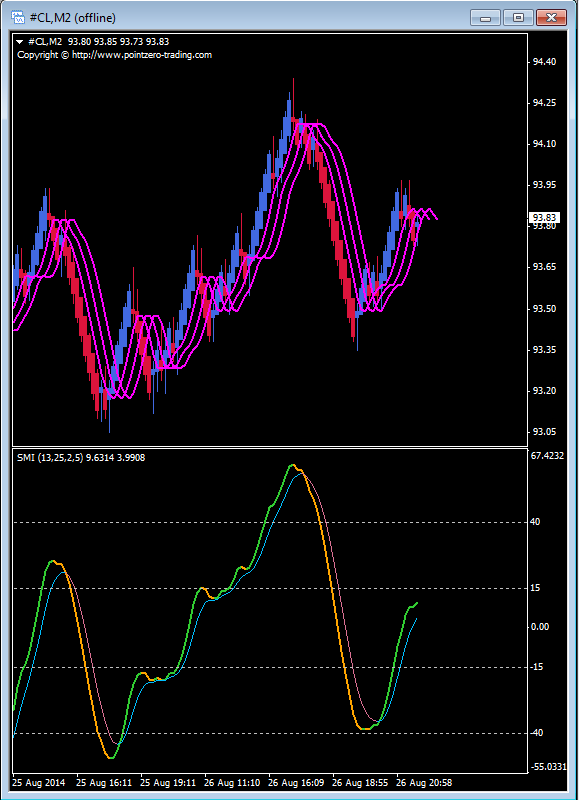 Stochastic Momentum Index (SMI). Developed by William Blau in 1993, it is an extension of the Stochastic Oscillator indicator, only calculated slightly different (it regards the mid range instead of the true range of the price per period). The following article emphasizes the simplicity available from this strategy. The author of this video goes into detail as to how she applies the indicator to her charts and how she interprets it. This is well worth watching.